1% of Unlimited data users Use 70% of Resources- IS Unlimited Internet really becoming Unprofitable as Bob Collymore Says? Data data data..it is the buzz word this year..Whether it is open, closed or whatever, it is all about data. The Government is trying hard and shouting at the rooftop about their open data initiative and the need for Kenyans to use it. The World Bank is on the mix of anything named open data or initiative to do with open data. So the next question is, what amount of data is enough for individual, be it voice, video, text or images? And how should it be fairly priced to enable the larger Kenyan population to access it? In the same line how can it be done without the people selling it going at a loss? 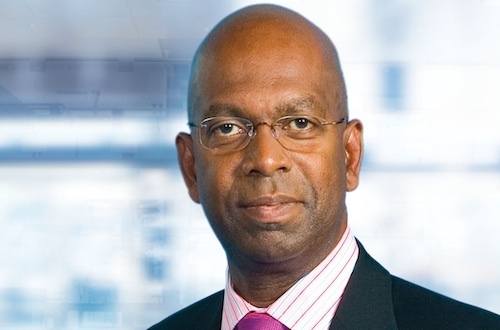 According to safaricom COE Mr. Bob Collymore, they are seeing abuse of unlimited internet data package by a few individuals. Mr. Collymore said this week on twitter that they are seeing a situation whereby 1% of the unlimited internet data package users using 70% of the resources. Meaning the remaining 99% are only using 30% or less of the resources . Fair enough for Mr Collymore’s claim but as a customer, what I am expected to do after paying the amount required to get the unlimited data package for a certain duration? Let say for example I pay Ksh.1000 to access unlimited data for 7 days, what does Safaricom expect me to do..sit back and not use it? So roughly the Ninja will get 9GB of data, in one week. So, is that too much? Can that make unlimited data package be unprofitable? In other news, that amount of data can be downloaded in one hour when using fiber connection…..
Let’s move to usage pattern and the behavior of most Kenyan internet users. I know many people who buy unlimited or other bundles but don’t use them in any meaningful way at all.. Well, let say they use it to check emails, and that is all..Practically, if you look at that they are not using even 0.1 percent of the resources.. From Safaricom point of view , I guess that should be an idle resource they would love to sell to somebody else.. Unfortunately, the Unlimited 1% heavy users would come in and take that up . And may be that is where the problem is coming from. Again my question is , does that make unlimited data package unprofitable? I don’t think so!! There is talk of fair access policy by both Orange and Safaricom.. I am not sure of what would be fair for each individual in a world where in a daily basis we collectively we produce 2.5 quintillion bytes of data. My view is, if Safaricom think that the amount they charge for unlimited for a certain period is less, then they should increase it but once I buy the unlimited, I should be allowed to use the promised capacity the way I want. When Fiber cables Landed in Kenya, the whole world promised us that practically every Kenyan would be able to afford to access the internet. I mean proper getting online, and not just a glimpse of being online. In the real sense of doing whatever one wants to do online, be it watching videos, downloading stuff , doing research work, calling, or just browsing for the fun of it.. The following is the the clear illustration that Kenyans should be able to that..
That is a shaking total capacity of 7.28TB/s excluding LION2……..
Yeah yeah I know the last mile thing and the problem of the spectrum and the base station bla bla bla but……!!!!!!?? ?